This is how William Wordsworth referred to the daisy in 1802. Canon Rebel XTi, 1/250 sec @ f/4.0, ISO 400, Lensbaby Composer with +4 macro adapter. Wow David, aren't you the romantic!This is a really pretty photo. 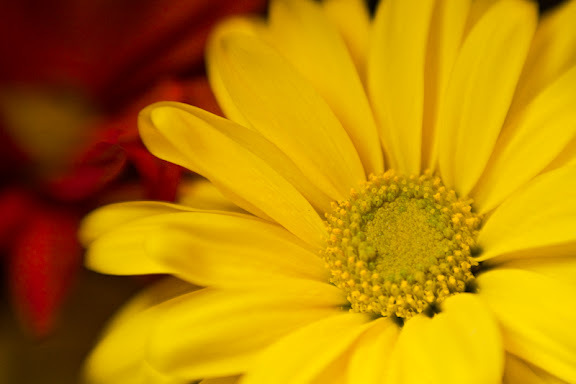 I love the way the center is sharp and the the edges of the petals are soft and unfocused. 255 - "Do or do not...."